Your Expression. Our Passion. MyFlorist. Mother’s Day is less than a week away now! Are you ready? If you haven’t made your plans yet, it’s not too late, but you should do it soon. If you plan everything right, you’ll find yourself winning the coveted spot of mom’s favorite (yeah, moms do have favorites, despite what they say!). So what do you need to do to make Mother’s Day amazing? Here’s a list of things you need to do before this Sunday. -Order flowers. This is one of the important things to get done soon because flowers usually aren’t delivered on Sunday. Also, Mother’s Day arrangements are very popular, and there’s a chance some will sell out. Order soon to make sure you get the arrangements and flowers you want. -Make your lunch/dinner reservations. Restaurants fill up very quickly, especially the ones offering special Mother’s Day menus. If you’re not hosting lunch or dinner, better get your reservations in soon so you can treat Mom to her favorite restaurant. -Buy your Mom a gift. Some families don’t go in for big, expensive gifts, but you should get your mom something. It doesn’t have to be anything expensive. It is the thought that counts, and mom will realize this. -Don’t forget the card. Be sure to add a great Mother’s Day card to your flower arrangement or gift. -Make sure Mom and your family know what’s going on. Once you’ve got all your plans made, be sure to let everyone know what those plans are as soon as possible. Let us help you with your flowers! 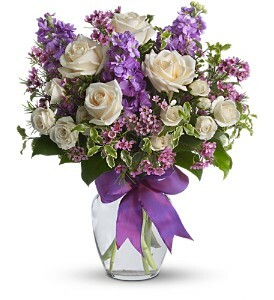 Order Mother’s Day flowers in McLean, VA, today to make sure you get the arrangement you want.